Being one of the most important cities in Morocco, Fez is rich in culture, history, traditions, gastronomy and much more! With one of the first universities and the oldest medieval Medina in the world, this city has a lot to offer and there is something new and exciting to do each day. Here are the 10 best things to see and do in Fez. Al Quaraouiyine was built in 859 AD by Fatima al-Fihri, and is believed to be one of the oldest universities in the world. It now operates as a mosque and cannot be entered by non-Muslims. However, its library was renovated in 2016 and made open to the public, and you can get a glimpse of the impressive, handmade tilework dating back to the 9th century. You can also get a perfect view of the mosque courtyard from the rooftops of nearby restaurants in the Medina. Located in the Medina, Dar Batha is a former palace that was turned into a museum in 1915, with an amazing collection of traditional artifacts. 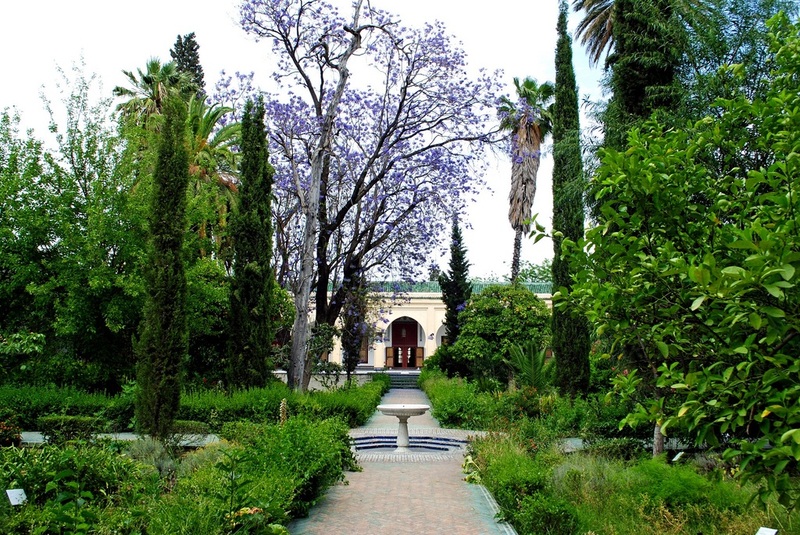 It has a fantastic Andalusian-style garden at its entrance, with varying types of plants, aromas and sounds, plus mosaics and a water fountain. Inside, you’ll find fine woodcarvings, Moroccan tiles, embroidery, carpets and even a ceramic collection from the 14th century. 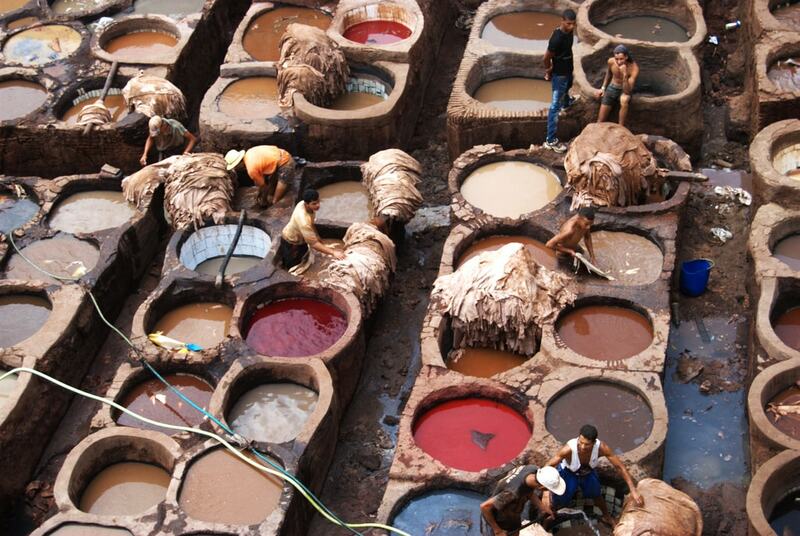 This is the most iconic place in Fez, and the oldest tannery in the world, where they still operate like they did in medieval times. Here men make leather in a massive tannery surrounded by houses and shops. The smell can get rather intense, so a scarf to cover your nose (or some mint leaves to rub under it) is advised, as this is definitely a unique site to behold. Right at the entrance of the Old Medina lies the former college for Muslim intellectuals. It was built by Sultan Bou Inan in the 14th century but has been beautifully restored, featuring gorgeous mosaics, carved plaster, cedar mashrabiyyas (lattice screens) and impressively large doors. The inside is splendid, with a fountain in the courtyard and endless, hand-carved walls and zellij tilework. It also has rooms on two floors, where classes used to be taught. These tombs house the skeletal remains of sultans and other royals of the Merenid Dynasty. Although not intact, and most of the decorations and engravings have faded throughout the years, you can still see the authenticity of the architecture. The climb up the hill is definitely worth the view over the 1200-year-old Medina, especially during sunset. Just be wary of staying on the hill too long after nightfall, as the descent can get difficult in the dark. This Madrasa was located near the Al-Quaraouiyine Mosque and the Al-Attarine Souk, a market with a variety of local spices, dried nuts, fruit and much more. Al-Attarine was an annex to Al-Quaraouiyine and is made with the same design, with beautiful green and blue zellij tilework, carved plaster and cedar wood, plus classrooms indoors and a fountain in the courtyard. Dar el Makhzen, the Royal Palace of Fez, might not be open to the public but is definitely worth seeing. The royal family doesn’t live there, but they maintain a palace in every city for each of their visits. Truly an impressive sight, it features gigantic doors made of brass and gold, surrounded by zellij tilework and carved cedar wood. It’s a popular place with tourists, as the detailed mosaics and bold colors make for beautiful pictures that play with light and perspective. Mellah became a Jewish quarter in the 14th century and Fes el-Jdid became a refuge for the Jewish community. Originally home to 250,000 Jews, since the creation of Israel only 70 now remain in Ville Nouvelle. The quarter is full of history and Jewish-style architecture, such as the Ibn Danan synagogue located in the heart of the Mellah, where some buildings housed people up until the late 20th century. If you’re a fan of views, this will definitely be worth the hike. Mount Zalagh is located north of Fez el-Bali and is characterized by picturesque landscapes full of olive groves, grazing goats and soaring birds. From here you’ll be able to see the whole of Old Medina, as well as views of the surrounding area. This fortress, located above Fez el-Bali was built in the 16th century by Sultan Ahmad al-Mansur to monitor his disloyal population. It’s an ideal place to get an amazing view of the Old Medina, if hiking all the way to Mount Zalagh feels a bit much. In 2016 it opened an arms museum, as it has stood through centuries of war and arms development. Here you’ll find information on the military history and traditions of Morocco, including impressive artifacts such as Arab daggers adorned with precious stones and jewels.